SMBs (small and mid size businesses) will profit from the Olympics, but it probably won't be in the way they think. Retailers especially will be surprised how dramatically the Olympics can negatively impact their business. Manufacturers, construction and service companies too will be in for a rude awakening. The Olympics will bring incredible visibility and wealth to Vancouver and Whistler, but it will also bring higher taxes, inflated property values, complex municipal regulations and oppressive traffic and security measures. In fact it has already started, and only the naïve would argue that the Olympics has not played a major role in the skyrocketing markets in the GVRD over the last year. Opportunity is the hallmark of the Olympics. It creates a business feeding frenzy. However, only the very smart and fleet of foot will prosper. You can remain staunch, dig in your heels and refuse to go for the gold, or you can learn to think differently and get in the game. Some businesses will be a perfect fit for traditional Olympic strategies, while others will have no choice but to operate independently. Fortunately, there are solutions for everyone. For example, in the years surrounding the 2000 Sydney Summer Olympics, 45 foreign companies invested in Australia . . .
almost $2 billion in Sports. The Sydney Games provided a vast array of opportunity for small and regional businesses. 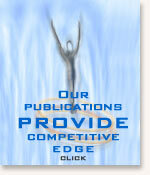 Regional businesses won Olympic construction contracts worth more than $300 million. In addition 32 regional companies delivered $36 million worth of products and services through import programs. Many small businesses prospered including piano manufacturers, agriculture, boat manufacturers, scientific and software companies, etc. What most people don't realize though is that many of the businesses above had nothing to do directly with the Olympics. They simply rode the wave. Unfortunately, not all SMBs did well. The competition, especially from official sponsors and large BIG BOX companies is fierce. As I said above, there are solutions for everyone, but only if you know what to do, get creative, and get a little added push from the local Olympic Organizing Committee, i.e. VANOC. SMBs in other Olympic regions have successfully put their businesses in the OLYMPIC SPOTLIGHT and capitalized on the attention the world focused on their regions. It's not difficult or complicated, but you need a plan and you need to implement your plan sooner than later. Large corporations do well in the ramp-up and during the Olympics, but the reality is, if you operate a SMB in an Olympic region your cost of doing business will increase substantially. If you're being placed in this untenable position shouldn't you also benefit along with the BIG BOX 'Official' Players? 'Official Sponsors' shouldn't prosper at your expense. However, if you don't start now to leverage Olympic momentum you will most assuredly get run over and lost in their scramble for gold. From a promotional perspective you have to put yourself in the Olympics and compete just as hard as the athletes. Maybe not quite as hard, but you do have to at least create a plan and implement it. It takes 10,000 hours and up to 12 years to train an Olympic athlete. How long will it take your business to get in the game? Many retailers mistakenly believe their greatest commercial gains will occur during the seventeen day run of the sporting events. Actually, this period generates the least direct revenue overall for most SMBs. In fact for 96% of them it is so small there is nothing to pursue. Even more alarmingly, half the SMBs I've spoken with believe there isn't anything at all for them on the Olympic stage. Fortunately, nothing could be further from the truth. The perception of what the 17 day Olympic run can do for SMBs is grossly misunderstood. 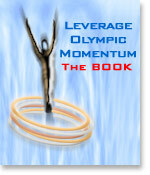 In the past many SMBs made small fortunes when they leveraged Olympic momentum properly. But for all the companies that did it right, there are countless others that lost money because they didn't understand the business model of the Games. For example, did you know that during the Olympics, standard crowd control procedures and especially anti terrorism operations (depending where your business is located) could force your business to close during the entire run of the Games? When it happens, businesses are usually given little or no warning. Planning is virtually impossible. If you're a retailer and counting on doing brisk business during this period you will sustain huge losses. Even if your business has nothing to do with retail, but you are located in an Olympic core you will suffer the same fate even if you've been operating at that address for years. Situations like this can bankrupt an SMB. Little mistakes and wrong assumptions turn into financial nightmares. There are probably many other things you don't know.